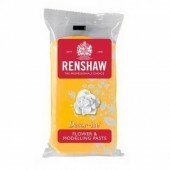 Saracino White Modelling Paste - Top Quality Award Winning Modelling Paste that gives excellent ..
Saracino White Modelling Paste - Top Quality Award Winning Modelling Paste that gives excellent resu..
Saracino Skintone Modelling Paste - Top Quality Award Winning Modelling Paste that gives excellent r..
Saracino Skintone Modelling Paste - Top Quality Award Winning Modelling Paste that gives excelle..
Saracino Rose Modelling Paste - Top Quality Award Winning Modelling Paste that gives excellent r..
Saracino Fuchsia Modelling Paste - Top Quality Award Winning Modelling Paste that gives excelle..
Saracino Lilac Modelling Paste - Top Quality Award Winning Modelling Paste that gives excellent ..
Saracino Tiffany Modelling Paste - Top Quality Award Winning Modelling Paste that gives excellent re..
Saracino Tiffany Modelling Paste - Top Quality Award Winning Modelling Paste that gives excellen..
Saracino Light Blue Modelling Paste - Top Quality Award Winning Modelling Paste that gives excellent..
Saracino Yellow Modelling Paste - Top Quality Award Winning Modelling Paste that gives excellent res..
Saracino Orange Modelling Paste - Top Quality Award Winning Modelling Paste that gives excellent..
Saracino Red Modelling Paste - Top Quality Award Winning Modelling Paste that gives excellent re..
Saracino Light Green Modelling Paste - Top Quality Award Winning Modelling Paste that gives exce..
Saracino Green Modelling Paste - Top Quality Award Winning Modelling Paste that gives excellent ..
Saracino Brown Modelling Paste - Top Quality Award Winning Modelling Paste that gives excell..
Saracino Brown Modelling Paste - Top Quality Award Winning Modelling Paste that gives excellent ..
Saracino Black Modelling Paste - Top Quality Award Winning Modelling Paste that gives excellent ..
Cake Dutchess White Modelling Paste Cake Dutchess is a renowned cake artist based in the Netherla..
A beautiful white modelling paste from Renshaws. 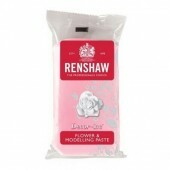 Can be rolled thinly for detailed work and has ..
A beautiful Rose Pink modelling paste from Renshaws. 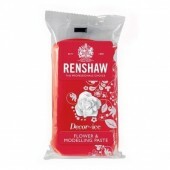 Can be rolled thinly for detailed work ..
A beautiful red modelling paste from Renshaws. 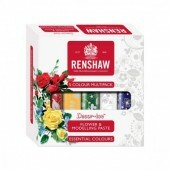 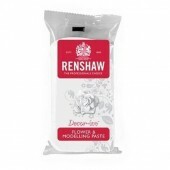 Can be rolled thinly for detailed work and ha..
A beautiful modelling paste from Renshaws Can be rolled thinly for detailed work and has a fine s..
A beautiful modelling paste from Renshaws. Can be rolled thinly for detailed work and has a ..
A beautiful green modelling paste from Renshaws. Can be rolled thinly for detailed work and has ..
A beautiful leaf green modelling paste from Renshaws Can be rolled thinly for detailed work a..
A beautiful black modelling paste from Renshaws Can be rolled thinly for detailed work and h..
Renshaw Flower & Modelling Paste - Essential Colours Multi-pack Pack contains 5 x 100g pa..
Culpitt Silver Modelling Paste This paste sets hard so is excellent for modelling. 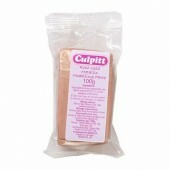 Store in a ..
Culpitt Rose Gold Modelling Paste This paste sets hard so is excellent for modelling. 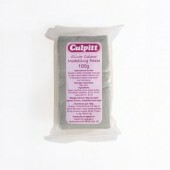 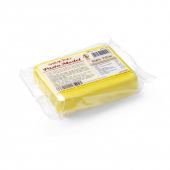 Cr..
Culpitt Gold Modelling Paste This paste sets hard so is excellent for modelling. 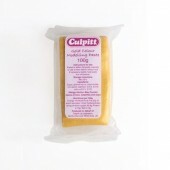 Store in a co..